We just returned home from a magnificent trip to Washington D.C. I am feeling particularly grateful for many things we saw and experienced there. I would love to share some of the specifics that touched me and my family, but overall, I must say that I left with deep reverence and immense gratitude for the great many people who have gone before us making great choices and leaving behind great examples of what courage, honor, integrity and good character look like. When I was researching homeschool and picking the method that would work best for my family, I knew that the Thomas Jefferson Education and classical methods resonated most deeply with me. I knew the benefits of studying great people throughout history so that when it comes time to make choices in your own life, you have great examples to draw from. I knew how our Founding Fathers were educated and how I wanted to use that model with my own children. I went to D.C. with plenty of knowledge about the great people I had studied and read about. I left with much more than that. As I left Washington D.C. and thought of all I had experienced there, a deep sense of gratitude for having been there and experienced glimpses of the history of our nation hit me hard. We saw a lot and visited many historical places and the feelings that these places ignite within is really quite amazing. As I continue on the journey of my own growth and evolution and that of mentoring and inspiring my two students as we educate at home, I am certain that the most important thing is the content of our character and that truth far outweighs the importance of the scope of our knowledge. Knowledge is changing in our world today. Everyone can access it. The answers to everything are at our fingertips. I don’t rest on this fact, we have quite challenging academic goals and schedules. But, I know who we become is of far greater importance than what we become. What we can do with our knowledge and what kind of choices we make with it matter much more than how much we possess. I am so grateful that we have chosen a path that allows us to devote ample time to studying the greatness that has been demonstrated before us. I believe that we all have greatness in us. We all have that spark of the Divine. Some have nurtured it more and made it easier to see. Some have quietly gone about living from that place and some have shouted it from mountaintops. I am so thankful for those that have left signs of their Divine spark for us to see so that we can be changed for the better by knowing about them. I am thankful for the quiet ones too. It is quite meaningful, heartwarming and fun to study great people making great choices as I nurture my own spark and inspire my little students to do the same. 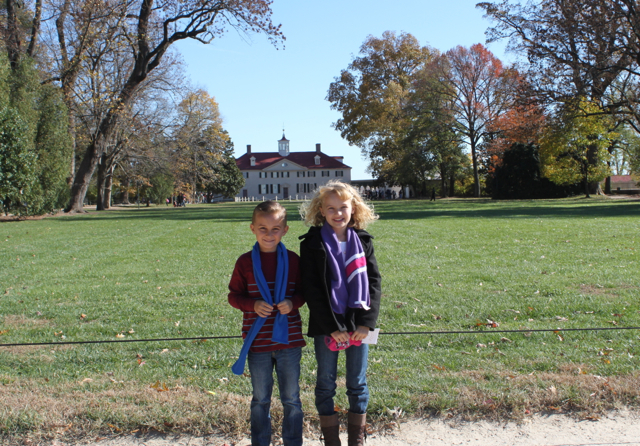 We went to Mount Vernon and saw George Washington’s home and plantation. For me, this was the highlight of the visit. This man was amazing. As we are reminded of some of his greatest moments like the defining moment of the Revolutionary War – Washington crossing the Delaware River, we get a deep sense of the fact that this country would not exist without him. Then, remembering that with his success, the people wanted to name him King and he would have nothing of it, wanting to create something far better…we are reminded just how different this country would be if not for his character. He did so much to make this a great country, and even more important, he was not swept away by his power. He stepped down from his leadership roles various times throughout his career, setting an exemplary precedent for those to follow. The experience of seeing the plantation was meaningful in so many ways…it gives a true glimpse of what it was like to live back then. While taking in the life of this remarkable man, we still had to walk through the quarters of the slaves and grasp the dark side of history as well. I left with deeper gratitude and profoundly greater respect for this American hero. That night the children listened intently while I read to them from George Washington’s Rules of Civility & Decent Behavior In Company and Conversation which he copied at the age of 15 and spent the remainder of his life abiding by. As they listened so closely it struck me that the assignments they take part in about developing one’s character may have that same lasting effect on their lives…a mother can hope. John F. Kennedy was assassinated on November 22, 1963, we are approaching the 50th anniversary of this moment in our history. The Newseum, one of our favorite museum stops had a wonderful exhibit that helped us take a deep look at his life, presidency and his death. This man did a lot for this country and the world and he gave his life for it. It was a blessing for us to be in our nation’s capital while this historical date was being honored. 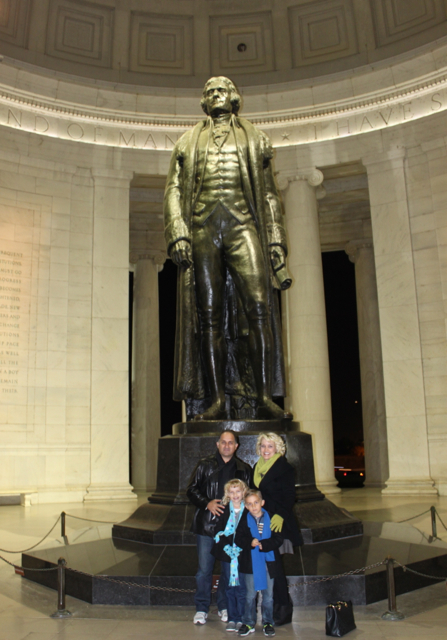 Speaking of Thomas Jefferson… standing at the Jefferson Memorial and taking in the magnificence of it and the feeling that accompanied being there is really hard to put into words. What a wonderful moment. 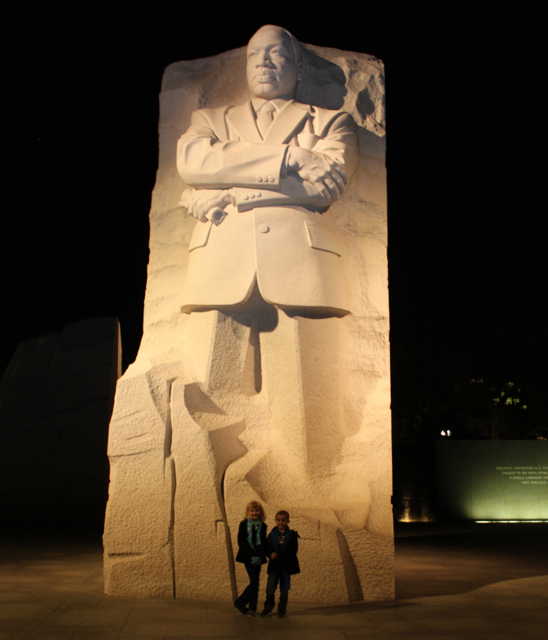 As our tour of Washington D.C. continued and we found ourselves explaining things to the children and reminding them of historical events, it was lovely to piece our history together for them like a puzzle. Some good things happened, followed by some very sad things, then more greatness and shinning examples, with sprinkles of darkness and tragedy, soon to return to triumph and honor… all shaping the world we live in today. 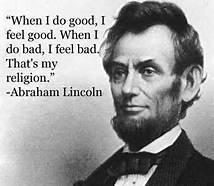 Abraham Lincoln’s life is a lovely piece of our historic puzzle to explain to children… I particularly enjoy explaining his religion he mentions below. Dr. Martin Luther King, Jr. was a remarkable being. To stand near the memorial dedicated to him and to read his words on the inscription wall was taking in a very special picture of a man and knowing that you must learn more. Much more indeed. That man was filled with so much love. “Make a career of humanity. Commit yourself to the noble struggle for equal rights. You will make a greater person of yourself, a greater nation of your country, and a finer world to live in.” (18 April 1959, Washington, D.C.) — Dr. Martin Luther King, Jr. 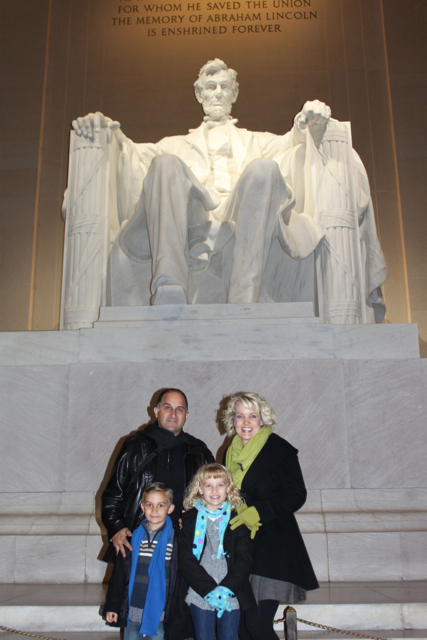 I am indeed very grateful for the meaning and reverence that our trip to Washington D.C. inspired in me. As I settle back into life at home I realize that, for me, D.C. is simply a place that makes it easier to spot the greatness. It also makes us remember the tragedy, but it fills you with the greatness. I believe that if we look deeply into any place we can find greatness and we can celebrate it, we can study it and we can emulate it. We can see it in people who don’t see it in themselves. We can help more people see it. We all have that spark in us and we must nurture it and carry it well. We can choose what we see in others and we can see greatness. The more we can see it, the more we can be it. The more we can be it, the more we can spread it. Wishing us all the grace of seeing the greatness that is around and within us today and always!